The Waiting is over! 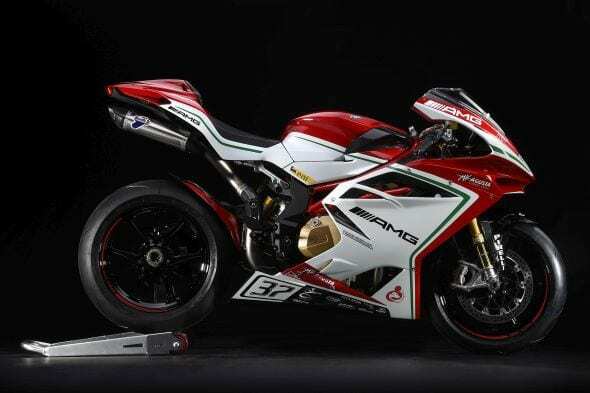 We’ve been been lusting to know exactly what MV Agusta’s delectable F4 RC is like ever since it was first teased, yet now we need wait not longer, as we’ve ridden it. Score! So, let’s see – 212bhp, 111Nm of torque, 175kg, the finest carbon fibre and suspension known to man, and looks to die for? Bring it on! What do we think of it? Well, the full test you can read in a future magazine (issue 303 out on June 23rd), but we’re happy to tease with a few thoughts on the most incredible F4 MV have ever produced. Thus, here are five observations on this little beauty. 1 – It is unbelievably, jaw-droppingly gorgeous to behold – Okay, this is probably the easiest thing you could work out for yourselves, but even we were stopped dead in our tracks when we met it for the first time. The attention to detail is fantastic, build-quality has surpassed other current versions of the F4 (which was already top notch), and it really does merit its staggering asking price of a pound shy of £31,000 on looks and detail alone. 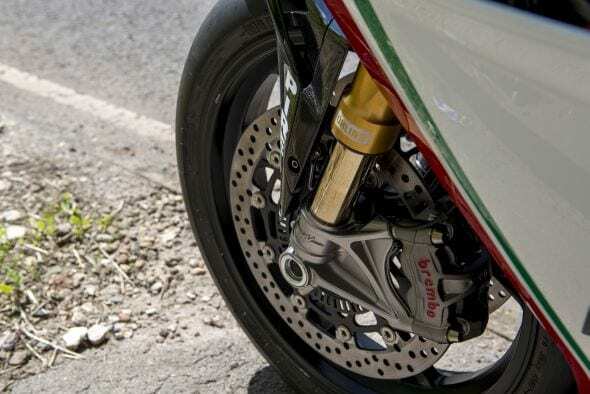 This one had just begun the tentative transformational first steps into becoming a race bike, so had the achingly delicious full Termignoni titanium full-system fitted, as well as a few of the bits and pieces that come in the carbon-fibre race-pack box. Even the simple yet stunning rearsets are there to be admired, and the carbon fibre fairings are boss. It really is wondrous. Go to all that trouble of taking the road gubbins off for a nice clean shot, then forget to put the seat back on properly… What a set of cans though, eh? 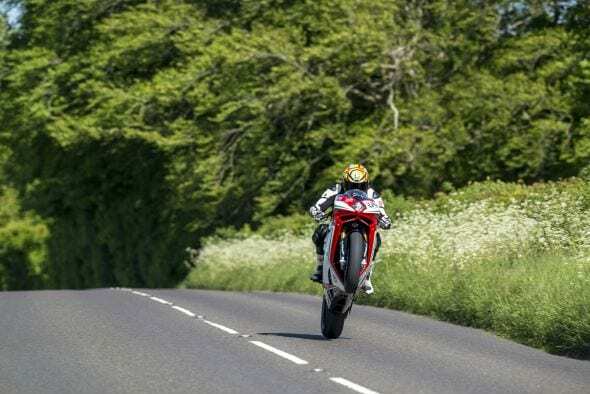 3 – You can really feel the weight loss – The RC is a solid handling bike, pukka geometry and Öhlins’ finest ensure that, but it’s the diet notching it down to 175kg that really shines through. The latest F4s all handle really well, but this one adds a previously missing flickability to the solid cornering skills. Chuck in a wonderfully intuitive riding position allied to super responsive input ratios, and you have a bike you’d happy ride on road or track every day for the rest of your life. One of the best front-ends in the business. 4 – It’s got real character – Traditionally firing inline four cylinder machines suffer from a slight lack of character during these days of cross-pane cranks, V4s, blaring triples and huge thumping twins. Not the RC, it lives and breathes, kicks and screams in a way a Suzuki GSX-R or Honda Fireblade can only dream of. Even the bolshy BMW S 1000 RR, while bonkers, is a dweeb sat alone in the corner of the wine bar, compared to the RC which is making every woman under the roof swoon, while arm-wrestling anyone who fancies being humiliated by the smartly dressed, dashing cad. You drink in its essence sat onboard, it talks to you, flatters you just by sitting on it – it’s an overwhelmingly incredible experience. It doesn’t even sound like any other inline four around, it rocks to its own beat, and that beat is terribly catchy. 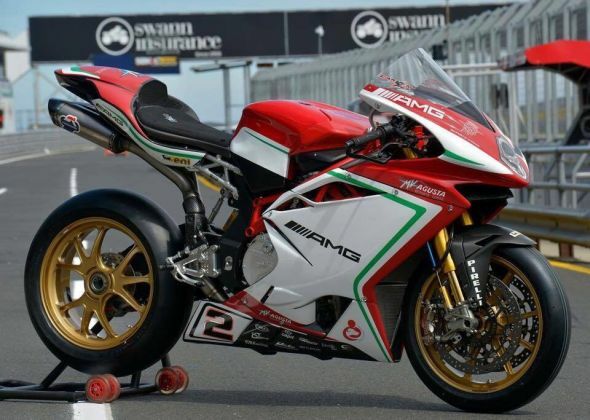 Camier’s steed – The RC isn’t far off this spec’-wise. 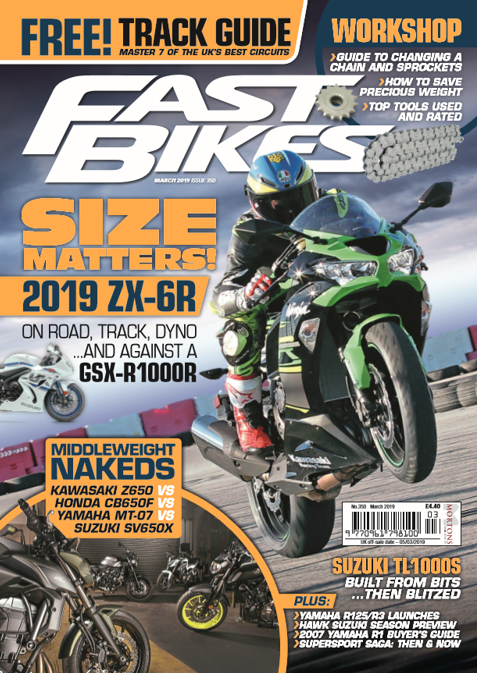 And for the moment, that’s that, but we will tease a little more before you’re able to read the full test including our definitive verdict in Fast Bikes issue 303, out on the 23rd June. And yes, the wheels are from the F4 RR, before anyone points it out, as the special RC wheels aren’t ready yet. 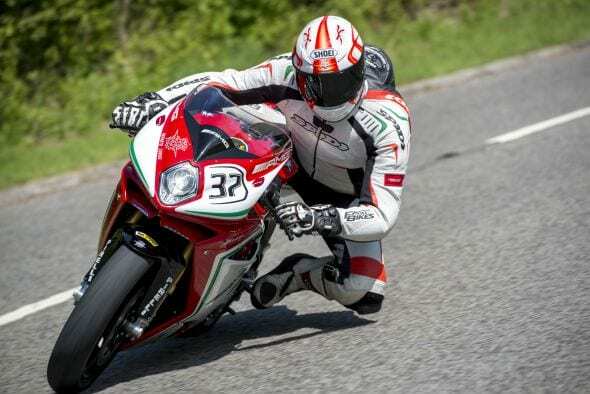 In the meantime it just leaves us to thank MV Agusta (and MV Agusta UK), but especially Dave and Hampshire MV Agusta for giving us this thrilling opportunity to be the first journos in the world to test ride an RC. Guys, thanks so much! 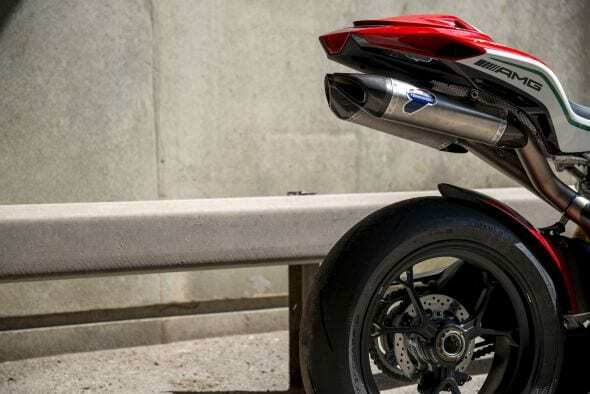 Next Post:Dan’s Ducati Blog – The Panigale 899 Superleggera Cometh! Hey! I really loved reading your blog. There’s not a lot of people who think Ducati is an unparalleled classic from the build to its feel. Hope you can keep an eye out on this Ducati Art Auction! My name is Lois from Motolegends and I have been enjoying reading the news and articles at Fast Bikes. 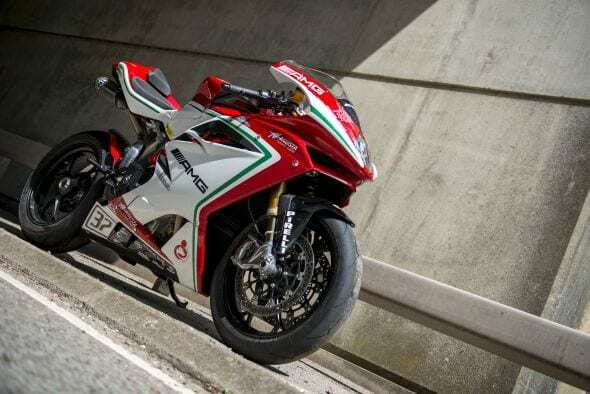 I particularly enjoyed your article about the MV Agusta F4 RC…gorgeous bike!